The circle in the middle of this picture looks as though its floating above the background. 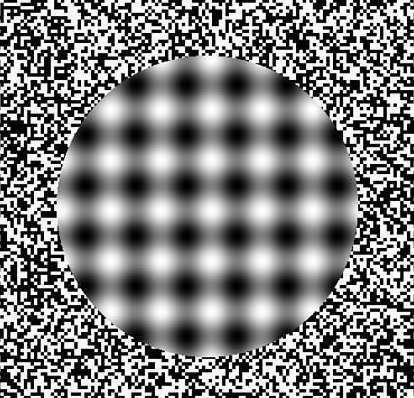 It looks like the blurring on the pattern of the circle creates the illusion that it is closer to your eyes than the background. this look like a blank t.v. screen before it blacks out. my friend and i see that it slightly moves...the blurred part. To me its like the backround is closer..............That's just me though. Imma have a seizure bye! it doznt look like its floating at all . Mabey theres something wrong with me !!!!!!! it is moving a little.